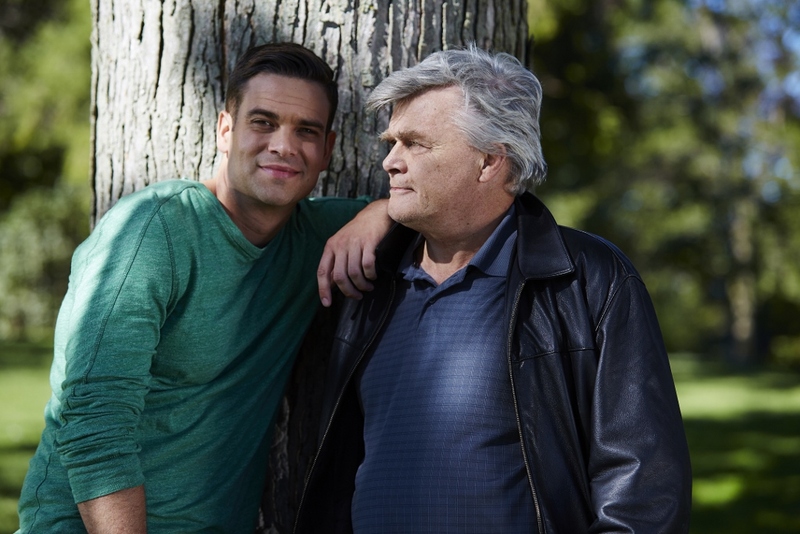 Mark Salling is set to star in the UP Original movie “Rocky Road”. Perhaps best known for his memorable role as Puck on the hit FOX television series Glee, Mark will be playing the leading role of Harrison Burke, a former Wall Street investment banker who is forced to return home when times get tough. Also a talented musician, Mark Salling also contributed new original music to the film. “Rocky Road”, also starring Nicolas Campbell, Deborah Tennant, and Rebecca Dalton, is set to premiere July 20th, on National Ice Cream Day. The UP Network presents the heartwarming story in a continued effort to deliver viewers with uplifting content every day. We’re happy to say we had the opportunity to chat with Mark about his new movie “Rocky Road”, his future music plans, and his charitable work with wildlife organizations. Hi! Thank you so much for taking the time to talk with me today. Mark Salling: My pleasure. Thank you for talking to me! To start off, for those who may be unfamiliar, can you talk a little about your role in the movie and some of the things that attracted you to it? Yeah, it features a great cast overall. How was the experience working with them? It was great. I think I was the only American. It features an all Canadian cast which is great. Nicolas Campbell is a veteran and they were all so great. The director Brian Roberts was also Canadian so it was interesting having a lead role and holding it down. I learned a lot. What was it like filming on location in Canada? Were there any challenges that came with that? I had to get used to the time change — it was a few hours ahead and I had to get up at 5 or 6 am to shoot. So that was rough in the beginning. We’re in this town called Cobourg. It’s about an hour out of Toronto. It’s a really charming little town. I stayed in a Bed and Breakfast type place there. It was great. It was a lovely experience. I was really drawn to the script for its wholesome charm and I think that they really captured that with the town and the way we shot it. That’s what attracted me to it. The UP network is all about “uplifting television”. The plot may start off with a guy who is down on his luck but would you say fans can look forward to a movie that’s not only uplifting but kind of encouraging and inspiring? Absolutely. I would think so. Personally, that’s what attracted me to it. Just reading the script and seeing how this character had this great arc from beginning to end and he was essentially unlikable to likeable. It’s summertime and it’s premiering on National Ice Cream Day. It’s all very happy and positive and colorful and there’s a lot of food in the movie which I kinda like. I like movies with a lot of food in them. It was fun. It was definitely an uplifting experience to shoot. These movies always seem to do well with audiences. What are you most excited for people to see? Me in a paper hat. [laughs] Just seeing how charming this town was and the story. I hope they get that feeling that I got when I first read the script. It’s refreshing. A lot of the scripts that I read are not. I hope people get that from watching. Obviously, your fans are most familiar with your television work. How does filming a movie differ from what you’re used to? Are you more comfortable in this kind of atmosphere? I think it depends what your role is in the movie. I was fortunate enough to have the lead role, so it was a little more demanding but rewarding as well. It’s all the same really. I had kind of the same task on Glee where I was…not the bad guy but I needed to take someone unlikable and make them likable. I had to do that in the span of an hour and a half with “Rocky Road” as opposed to maybe a season or two of Glee. I think that was the task to make that arc right for an hour and a half. You’re obviously extremely talented as a musician as well and you wrote and perform an original song in the movie. Can you talk a little about how that came to be and what fans can expect from that? Sure. I was fortunate that they agreed to allow myself and my songwriting partner Mike Miller… together we have a project called Camp Coyote that’s being released this summer. We’re going to have a whole album and a tour for that. We did the title track for this movie. It’s called “The Starting Line” and it plays during the opening credits. So that’s kind of a preview of what’s to come from us as a group. We wrote the song after I read the script so we had the theme of the story to draw from, which is the regression back to childhood. My character kind of goes back to being a teenager and we played on the humor of that in the movie. So that’s what you can expect to hear and there will be a lot more coming from Camp Coyote so check it out. I was going to ask if you had any plans to release more music so I’m excited to hear that you guys are going to keep going with that. Thank you. I’ve been working on this for three years in anticipation of an eventual release so I’m jazzed. The movie premieres on National Ice Cream Day so I feel like I have to ask what your favorite ice cream flavor is. Growing up it was Blue Bell Cookies and Cream. I’d mix it up every now and then with peppermint or sherbert if I’m in the mood. What about you? I’m one of those people…I’m lactose intolerant but I’ll eat it anyway. Yeah, I’m a little lactose in my old age as well. I can’t crush a whole pizza like I used to. But if you could though, what’s your favorite? I feel like the New York answer is a lot of like, peanut butter and chocolate and marshmallow on things. Oh, yeah. Peanut butter and chocolate is clutch though. Haagen Dazs. Finally, I was wondering if you can you talk a little about your work with Wildlife Care and why you’re so passionate for the cause? Thank you for asking. Wildlife rescue groups in general are so underfunded it’s disgusting. We have all these great organizations in place for domesticated animals, as we should, and it’s wonderful but no one really knows about or funds native wildlife rescue. These are animals that humans have encroached on in their territory and now they suffer. It started as a kid, finding a baby bird or squirrel and nursing it back to health. You should always take it to a rehabber, but I got really interested in it and started volunteering in the summer at a place called Samuell Farm in Texas. It had a wildlife care place at the time and I kind of grew up on it. I see these full time rehabbers, and I’m not by any means a full time rehabber but I do have a permit…Wildlife Care of Socal is my organization. They take care of native California animals. Anything from crows, ravens, bobcats, coyotes, song birds, squirrels, raccoons, they take in everything. Working tirelessly for these injured animals for basically no pay. I see that and I see these people working to the bone for these animals and they’re so underfunded that it breaks my heart. I’m sitting here looking at a one eyed raven as I’m talking to you that I have in my living room. I can’t put him out in the aviary yet. Say hello…what’s up Walter? He will be released. It’s all for release, it’s not just about keeping animals. It’s all about rescuing them and rehabilitating them and releasing them back into the wild. That’s the ultimate goal every time. Sometimes animals can’t be released. I want to see how he does with the other birds before I release him. But it’s something I’ve always been into my whole life. I feel so much happier when I’m around animals. Once you go that route you don’t wanna go back. Once you go crow, you just never know..or something. [laughs] It’s great to see celebrities working with good causes like that. Maybe this will bring a little awareness. They’re great people, it’s a great organization. The people at these organizations that I’ve known throughout the years, they’re some of the most solid people you’ll ever meet. They’re so inspiring. Call a local vet and they’ll be able to refer you to a native animal rescue organization. Go volunteer and get to know them. You won’t regret it. We’d like to thank Mark Salling for taking the time to chat with us. We really appreciate it! 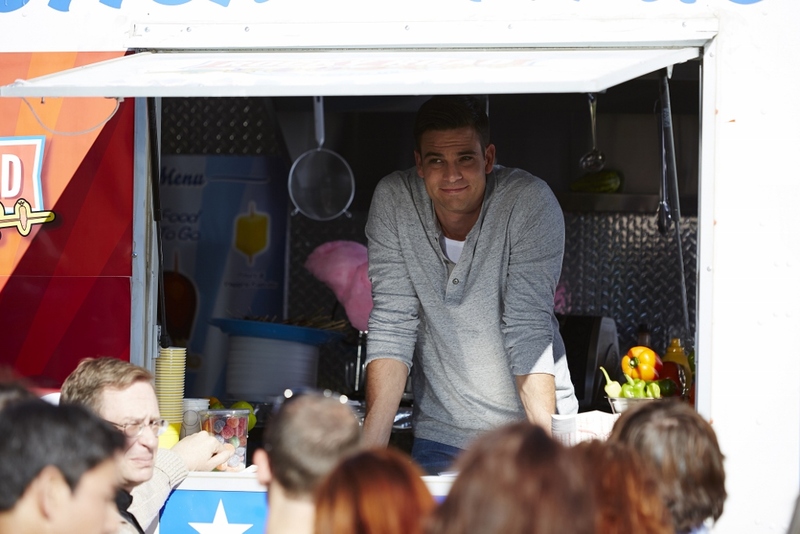 Be sure to keep up to date with Mark by following him on Twitter @MarkSalling. 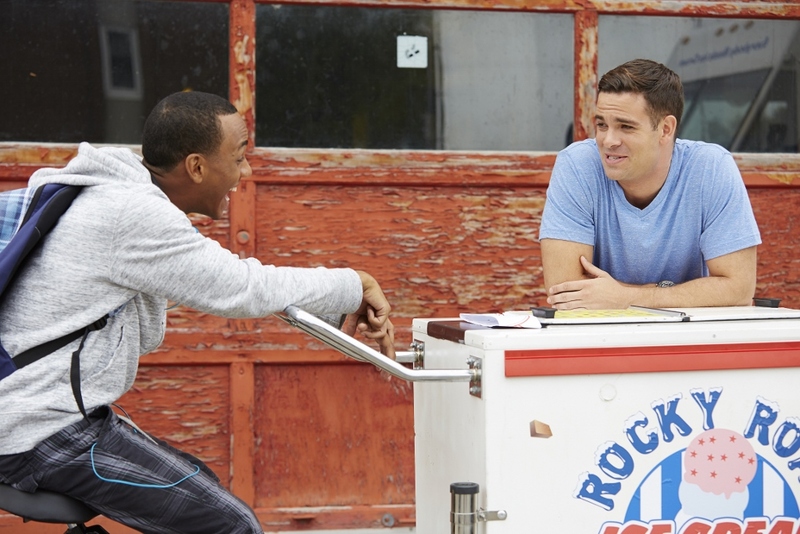 Don’t forget to tune in to “Rocky Road” when it premieres July 20th at 8pm ET on UP TV. Mark es increíble, dedicado a sus trabajos, canta ESPECTACULAR y como persona es aún mejor.